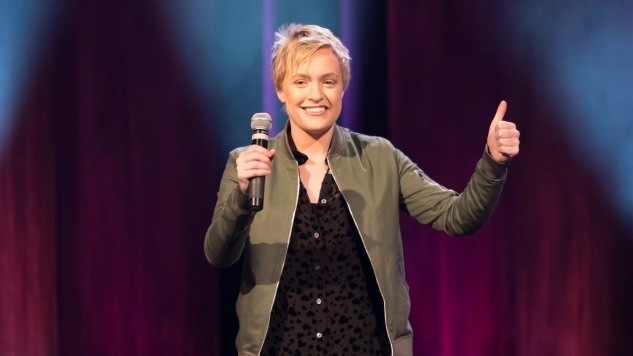 Netflix’s The Comedy Lineup returns this Friday with eight more 15-minute stand-up specials from some of the best rising comics in the business, and one of them comes from none other than the inimitable Emma Willmann. (Okay, yes, we mostly call her that because it sounds—and feels—good to say it.) Willmann has deservedly blown up over the last couple of years, landing a role on Crazy Ex-Girlfriend, doing a set on The Late Show with Stephen Colbert, getting recognized as a New Face of Comedy at the Just for Laughs festival in 2016, and even landing her own 15-minute stand-up special on Netflix. You’ve probably read about that last one already. In her episode of The Comedy Lineup, Willmann shows the enthusiasm and awkward confidence that she’s known for. In this short clip that’s premiering exclusively at Paste, she talks about growing up in a small town where everybody knows your name, and how that unusual background doesn’t really prepare you for living in a city as big as New York. Check it out below, and watch the full special (along with the rest of The Comedy Lineup) on Netflix on Friday, Aug. 31.